Parking is in an adjacent field, which will be muddy if it has been a lot of rain! Days when I’m definitely here are in bold. We had a very lively and happy congregation at our Harvest festival in Markbeech last Sunday, lots of children and beautiful decorations. Many thanks to all who worked so hard to make the church look so lovely. The members of the British Lichen Society spent a short time at Hever churchyard on 18 October 2014. We were primarily interested in the churchyard wall as it supports a lichen, Diploschistes actinostomus which occurs as several plants on the brick capping of the wall opposite the entrance to Hever Castle. This record is only the second one for this lichen in the UK. It is also found at Brookland on Romney Marsh. 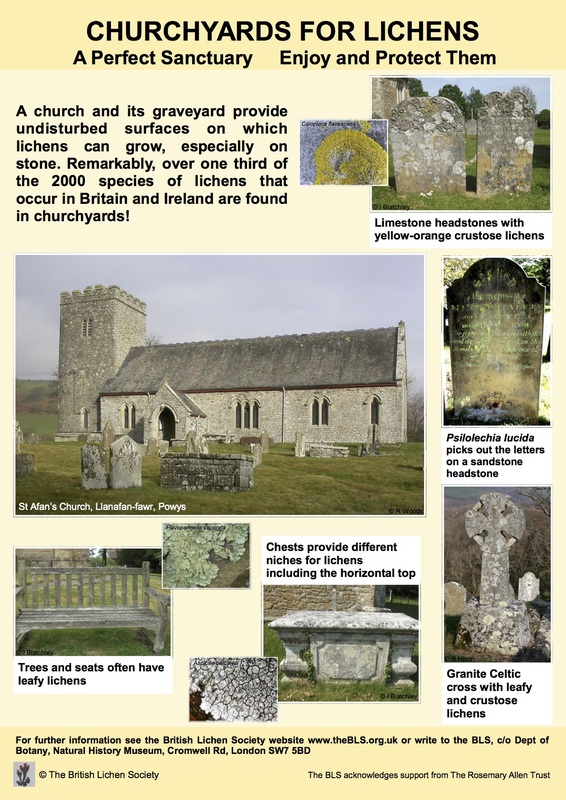 The churchyard boundary wall has a most interesting community of lichens on it and I hope you will make the presence of these lichens widely known so that they can be conserved!!! Any repair to the wall should incorporate the brick capping in the original orientation. In this way the lichens will survive! A more detailed survey of the whole church was carried out in 2013. 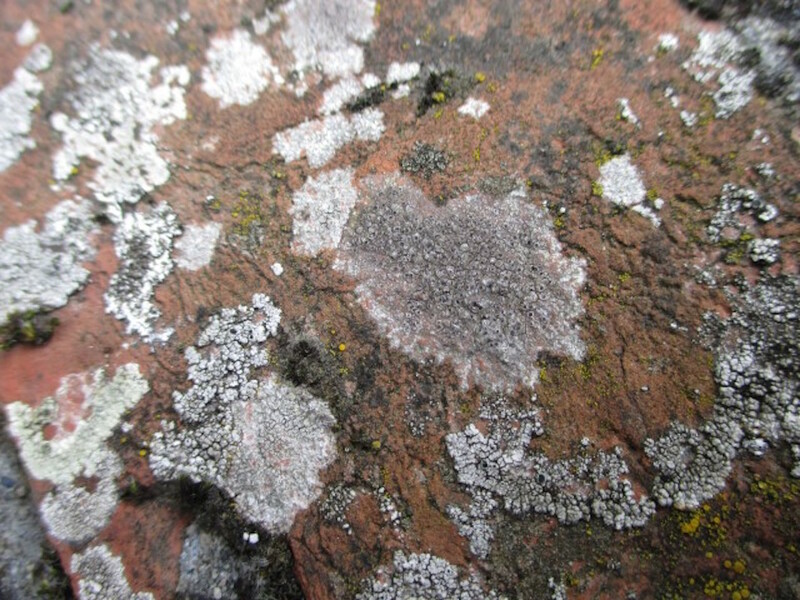 A total of 123 lichens was recorded – a fantastic number!!! 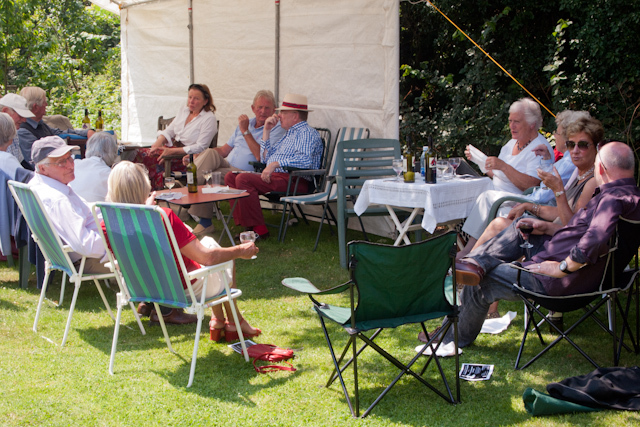 This year it was the turn of Markbeech to host the annual beating the bounds walk on Rogation Sunday. Having had such a dire spring a small miracle gave us a balmy sunny day and we were able to visit the lambs at Falconhurst (all twins and triplets), wander along the station path amidst the bluebells, picnic on Hilly Dean and thanks to Emily and her family, enjoy tea at Edells. 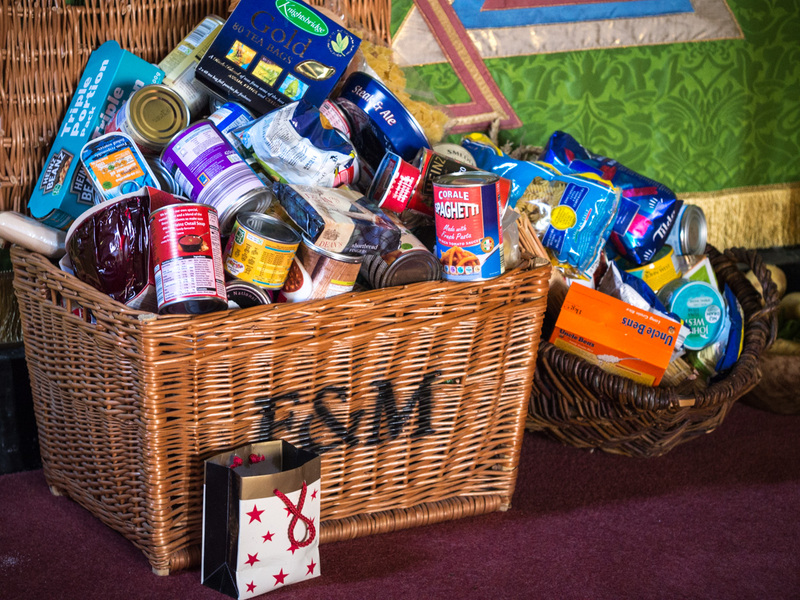 Motivated by Cynthia Mead, the parish of Four Elms arranged a beautiful passover meal. Unfortunately due to an accident Jane was unable to be with us but Wendy stepped up to the challenge of taking is through this moving Jewish ceremony (with no preparation) and we were able to share some sense of the power of the Passover meal for our Jewish friends. The ritual was in a form that newcomers to it could understand and worked well – I do hope it will be repeated. 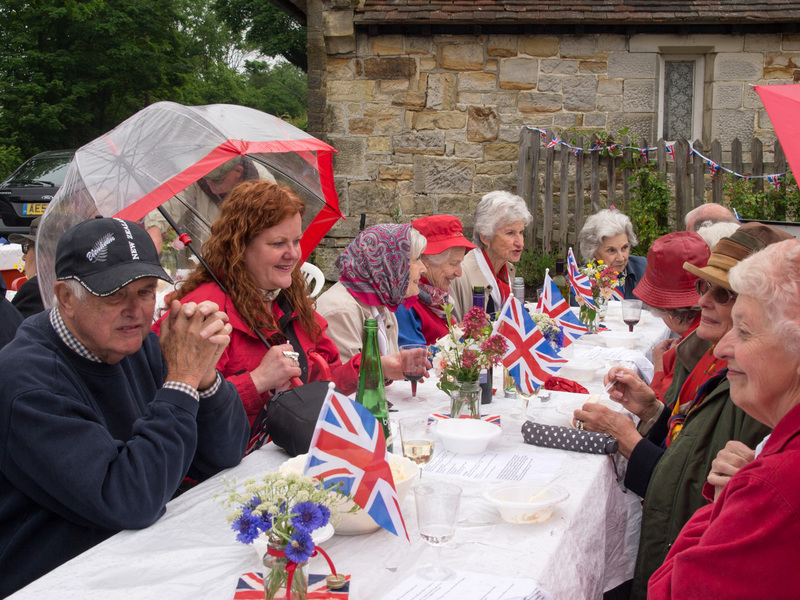 Our Jubilee celebration in Markbeech took the form of a wonderful street party. Cow Lane was blocked to traffic, tables laid in front of the Kentish Horse, bunting strung in wild profusion, the prettiest posies arranged in red, white and blue, Andrea’s delicious coronation chicken and roast beef eaten, towers of cupcakes admired and devoured, patriotic songs sung – some led by brilliant trumpet playing, Punch and Judy performed and over 150 people had a great time – and unlike the deluge suffered in London there was hardly a drop of rain in Markbeech!